If you like design, Kelley Elizabeth has a great blog about her graphic design, advertising, and media work. The Curiosity landing has been all the buzz recently and has even been referred to as one of the most important scientific and technological events of the decade. 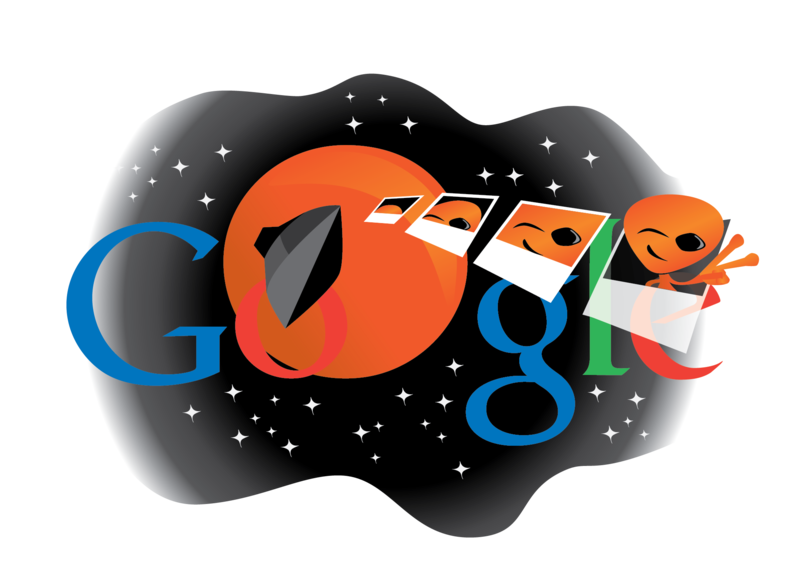 Google is all about innovation as it relates to technology so I decided to make a Curiosity themed Google Doodle. NASA did a wonderful job at streaming the event live online, and yesterday there was a twitter storm all about #curiosity. Since the rover is taking high-resolution photos of the planet while also looking for signs of life, I wanted to tap into that in my drawing for Google. At first you think Curiosity is taking pictures of Mars, but look closely and you’ll realize that it’s actually a little orange alien blending in with the planet. Of course! I definitely has an appreciation for your line of work, as I’m in PR myself. Plus freelancing can be something to blog about itself!